Is someone trying to adopt your child? And you don’t want them to? Read this to better understand your rights. Just this past December, an Arkansas appellate court heard an adoption case. This case, Martini v. Price, was all about a child who had just been adopted by a step-dad. The problem was that the child’s biological dad had not wanted his child adopted out. He never gave his consent. He was opposed to this step-dad adopting his child. Nevertheless, the lower court ruled that the step-dad could go ahead and adopt the child even without biological dad’s consent. Not surprisingly, biological dad was not ok with this decision, and appealed it. Let’s leave behind Martini v. Price for a moment, and talk about you. Imaginary you. Let’s say you have a child, and someone else has custody of that child. That “Someone” wants to adopt your child, and you don’t want them to. You won’t give your consent. During the court case where a judge decides whether that “Someone” can adopt your child without your consent, the other party will need to prove his case—he will need to prove some things about you. Anything he can prove about you from the past year just prior to the court case is going to be the most important, but a judge will consider things which that “Someone” can prove from further back, too. Basic adoption law says that that “Someone” needs your consent to adopt your child unless you’ve done either one of two things: not communicated with the child, or not provided for the care and support of the child like the law or a court order requires. There’s more. The other side has to prove both that you’ve done these things in a “significant” way and that you had no good reason for doing them. So, loosely speaking, small failings in either of these areas—or failings that you had a good reason for—would not be enough for that “Someone” to adopt your child without your consent. However, on the other hand, it’s important to notice that courts have said that a parent “failed significantly” even when they didn’t fail “completely.” For example, speaking to your child once in a year’s time will not necessarily save you from a court finding that you “failed significantly.” You didn’t go without speaking to your child for quite the whole year…but the fact that you made one small effort does not act a magic wand to convince a judge that you communicated enough—enough to keep that “Someone” from adopting your child when you don’t want him to. 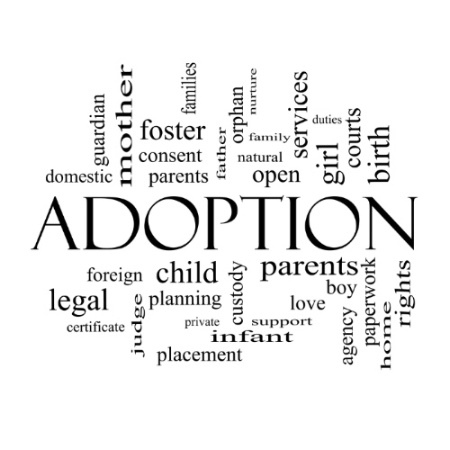 Courts interpret adoption law in a very particular way that does not allow for willy-nilly adoption of people’s biological children from under their noses. That “Someone” who wants to adopt your child is going to have to prove his case in a more convincing way than in some other types of cases. This bodes well for you; there’s a heavier burden on the other party to prove it’s ok for him to adopt your child without your consent, than there is on you. Let’s talk about a “failure to communicate.” Where there has not been much communication between you and your child, a court will say you failed in this area “without justifiable cause” if the other party can prove several things…several things about what you did or didn’t do. Whether or not the other party—that “Someone” who wants to adopt your child—can prove these things will depend mainly on the witnesses he brings to court. If the judge thinks that his witnesses are believable, the judge will probably decide the other party proved his case, and allow him to adopt your child even without your consent. What the other party has to prove involves several things. First, if he can prove you voluntarily avoided contact with your child, a court would say you failed “without justifiable cause,” and let that “Someone” adopt your child without your consent. Second, if he can prove you had no legitimate reason—no adequate excuse—for being out of touch with your child, a court will likely say you failed “without justifiable cause” and let that “Someone” go ahead with the adoption. In addition, though, that other party would also have to prove that your being out of touch was arbitrary and willful. That’s 4 things that “Someone” will have to prove. The players in Martini v. Price include Bio Dad, child, Step-dad, and Mother. The court decided that Step-dad should have had consent from Bio Dad before adopting the child. Step-dad could not keep the child as his adopted child without Bio Dad’s saying, “Ok, I consent to you adopting him.” I imagine that Bio Dad was happy with this decision. And this whole outcome exists today because Step-dad was not able to prove about Bio Dad all those negative things I explained above. In Martini v. Price, Step-dad didn’t raise any issues about Bio Dad not providing or caring for his child; instead, this case revolved around the scant communication Bio Dad had with his child prior to this court case. Step-dad was going to have to prove some things about Bio Dad in order to adopt the child without Bio Dad’s consent. Step-dad argued that Bio Dad had had so little communication with his child that Bio Dad had failed in this area both “significantly” and “without justifiable cause.” On each part of this argument, Step-dad lost. Here’s the history. “Mother” had two Orders of Protection in place against Bio Dad. Neither Order said Bio Dad couldn’t contact his child, but the Orders did prohibit Bio Dad from contacting Mom in any way, shape, or form…until March, 2012. Bio Dad essentially didn’t have any contact with his child while the Orders were in place—until March, 2012—but after that date, he did. After that date, which was the year prior to the court case where Step-dad adopted Bio Dad’s child without his permission, Bio Dad did contact his child. Bio Dad visited with his child two times in 2012. Both visits were supervised. He also went to three family-therapy sessions with Mother and his child in early 2013. His behavior during these sessions wasn’t the best, apparently, but he still made contact with his child. In addition, of course, while the Orders were in place Bio Dad did communicate with his child several times, but stopped trying to after Mother “had a heated exchange” with Bio Dad’s probation officer. Bio Dad thought it would be safer for him not to try to contact his child, so he stopped trying to until the Orders of Protection expired. In Martini v. Price, the court took all of the above facts and decided that Bio Dad did have “justifiable cause” for not communicating with his child. The court also decided that Bio Dad had a legitimate reason—an adequate excuse—for not communicating with his child. In short, Step-dad lost. For anyone facing a situation where someone is trying to adopt his or her child without consent, it can be helpful to know what Arkansas courts are currently thinking on this issue. If you are one of those people, compare your facts with the facts about Bio Dad, and you will have a better idea whether a court would let that “Someone” adopt your child even when you do not want them to.